A magazine quiz titled "How to Rate Your Marriage, or Is Your Spouse a Louse?" causes problems for the Ricardos. 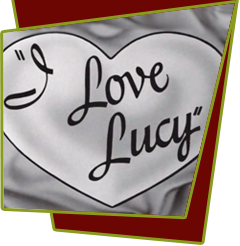 When questioned on the matter of "old lovers," Lucy lists her ex-boyfriends (among them are Billy, Jess, Jerry, Bob, Maury, Argyle, Bud, Wilbur, George, Phil, Karl, and Martin). To get even, Ricky invents Carlota Romero, an old Cuban flame. Lucy flies into a jealous rage and refuses to speak to Ricky. By coincidence, a singer by that same name is appearing in New York at the Opal Room, according to a newspaper item in the New York Gazette. The next evening, press agent Jerry arranges for Carlota Romero (with whom Ricky did work many years ago when she was part of the Five Romero Sisters) to see Ricky again. Much to Lucy's delight, Carlota is now heavy-set, middle-aged woman whom Lucy describes as "so full of … well, so full." Special Notes: The names of Lucy's "boyfriends" were taken from the show's staff. Bloopers: In the first dream sequence, Little Ricky at first is wearing a hat with rabbit ears. At one point, Lucy picks him up to bring him to Ricky, who is being lured away by Carlota. When she does this, the hat falls off. The problem is that the episode's editors used a close-up insert of Little Ricky without the hat a bit too early - before Lucy picks him up - then returned to a wide shot where he's still wearing the hat. Once the hat falls off, the same (or similar) hatless close-up is used again, this time making sense with the continuity.